"Missing WhatsApp icon on iPhone 6S. Basically I installed WhatsApp (new phone), used it a bit, returned to the icon is no longer where I placed it. When I go into App Store it shows as a purchased item with an "open" button. When I open it, nothing happens. How do I get my WhatsApp icon back on my iPhone?" Most iPhone users are used to sending messages through WhatsApp due to its convenient features. But recently, some people reported that WhatsApp icon is missing on iPhone after iOS 10.3/10.2/10 update or jailbreak and found no better solution to retrieve it. Actually, when WhatsApp disappeared from iPhone, it's not really gone, but became invisible. 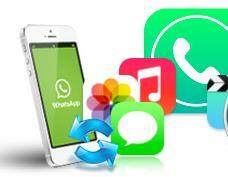 Here we are going to list you the possible methods to restore WhatsApp on iPhone/iPad/iPod quickly. When the WhatApp messenger not showing up on the Home Screen, check every folder and also use search to see if you can find it. On the Home Screen, scroll down the "Search" and tap WhatsApp to see if it appears. 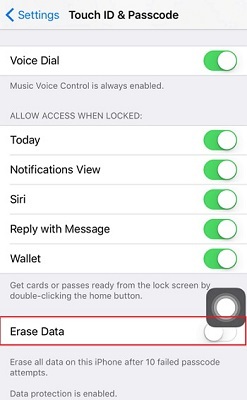 Launch "Settings" on the Home Screen and then tap on "General", tap on "Restrictions" and enter the passcode. Find WhatApp in the list of the apps and toggle it on. Now go back to the Home Screen and check whether the WhatsApp has appeared or not. Go to Settings->General, tap on Reset. There will be several reset options, tap on "Reset Home Screen Layout"
A menu will swipe up from the bottom asking you: Reset Home Screen. Confirm Reset Home Screen. If the WhatsApp still not showing on iPhone after trying the methods mentioned above, there may be something wrong with the system. Restoring iPhone to factory setting is a way to go but will erase all the previous data. That's why you need the professional iOS system caring software-Any iOS System Repair. This program is designed to repair operating system to fix all kinds of iPhone app missing and stuck issues. Free download and follow the steps to retrieve WhatsApp icon on iPhone quickly. Run the program and connect your iPhone to computer. Click "Repair Operating System" on the main interface. And then click "Repair Now" to start repairing. Now you'll be asked to download the firmware package. Prior to download, choose a save path on your computer for saving the package. After downloading the firmware package, click "Start Repair" to repair operating system. When the repairing is done, your device will reboot automatically and the WhatsApp will be restored successfully. Now how to retrieve WhatsApp icon in iPhone won't be a problem for you anymore. If you cannot find other iPhone app icons, such as App Store, Camera, Facebook or iTunes, the retrieving steps are similar. For more WhatsApp solutions and user tips, you can check from here.